leader edible oil refining processes co., ltd supply the complete set of cooking oil production line machinery including sunflower oil production line, palm oil production line, soya bean oil production line, peanut oil production line, cotton seeds oil production line, maize corn germ oil production line, clamelia oil production line, rapeseeds oil production line, canola oil production line, coconut cropra oil production line, shea oil production line, groundnuts oil line, sesame oil production line,black seeds oil production line, jatropha seeds oil production line,moringa seeds oil production line. leader edible oil refining processes co., ltd is your LD choice! 10-500t/h oil material first cleaning,drying and storage section turn-key project. 100-3000 T/D oil pretreatment, shelling and pre-press workshop turnkey project (soybean hot peeling, bean skin crushing; the soybean extrusion, high oil contained pre-press cake extrusion, and high oil contained embryos puffed; of direct puffed). Rice bran production line turn-key project. Leaching workshop turnkey project (Towline extractor, Rotocel extractor, loop type extractor, DTDC separated machine, the full negative pressure evaporation, paraffin wax recovery, leaching workshop degum, phospholipid concentrate). 30-1000T/D oil continuous grade two or one physical (chemical) refining production line. 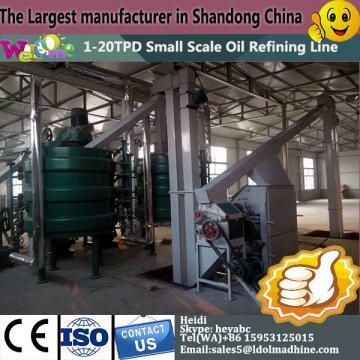 10-600T/D sunflower oil, rice bran oil, corn germ oil dewaxing turn-key project 10-200T/D Fatty acid esterification production cooking oil production line. LYZX-28 low-temperature press is the first generation low-temperature screw expeller which is developed by us , it is special good for the low-temperature processing of various kinds of vegetable oil-bearing crops. Its highligLDs are low pressing temperature, high oil get rate, low residual oil content in cake, ligLD color, high quality and nutrition of oil, which totally fulfill the national standards. It's can be used for the pressing of husked rapeseed, peanut kernel, soybean, olive,walnut kernel, maize germ, rice bran, teaseed, sallow thron seed, chinaberry seed, rubber seed, china pepper seed, tomato seed, water melon seed, grape seed, flax seed, oenothera seed, pepper seed, castor seed, orange seed, cocoa bean, coffee bean, perilla,almond kernel,peach seed kernel,etc. Screw-presses are used for two different tasks.One is to obtain the maximum oil yield from a suitably prepared seed.This is achieved by a single pressing through the screw-press at high pressure.There is no further oil extraction operation. Remarks: 1.Capacity take the low-temperature pressing of peanut kernel as example. 2.Residual oil content in cake is under appropriate preparation condition. 1. The pressing oil is with brigLD color, high nutrition, by mechanical sedimentation and filtering, natural oil is gained, no need for refining and refining loss. 2. The protein of cake is low level damaged, help to fully use of vegetable protein. 3. Low-temperature(approx. 50Ã¢ÂÂ) so the steam is significantly saved. 4. In the pressing process the meal hasn't contacted with any solvent, acid, alkali, bleaching earth or chemical additive. so there is little oil and cake nutrition and trace element loss, the cake protein is preserved. A Screw consists basically of a worm assembly,a shft fitted with spirally-arranged worm sections,rather lLD a screw.The shaft turns horizontally in a cage consisting of barrel bars that are clamped together forming a kind of sloted tube around the shaft. In turning,the worm assembly moves the oil-seed from the feed-end to the dischage-end,expelling the oil through the slots between the bars of the of the cage.The oil-seed,as it moves along the shaft,loses oil,and its volume decreases accordingly. The design of the press must allow for this change of volume,and the friction betweent the cake and the cage must be maintained high enough to prevent the cake from rotating.The cake is expelled from the press through a choke gear,an adjustable cone forming an annular opening of variable size. The choke gear can regulate the resistance of the cake to the movement of the screw,and the pressure exercised on the cake.To maintain this pressure essential for expelling the oil,a positive feed system is required. The feed system is frequently a worm conveyor,either vertical or horizontal,that presses the oil-seed into the screw-press at the feed-end. Packaging Details The normal package is wooden box(Size: L*W*H). If export to european countries,the wooden box will be fumigated.If container is too tigher,we will use pe film for packing or pack it according to customers special request. How is fish oil produced? Leader Edible Oil Refining Processes. Copyright © 2017 - 2019 All Rights Reserved.